The large lagoon shaped pool is the focal point of this hotel whilst the large buffet selection keeps every dining time interesting. Suitably located in the resort of Ixia and an ideal spot to enjoy the historical areas of the Island, the Atlantica Princess is close by to the sand and shingle beach making it perfect for both pool and beach lovers. Rooms are beautifully decorated and come with garden or sea view. Kids are kept happy in the splash pool during the daytime and evenings can be enjoyed watching a show or relaxing by the Apollo pool bar. It’s time to enjoy the Atlantica feeling at the Atlantica Princess Hotel. 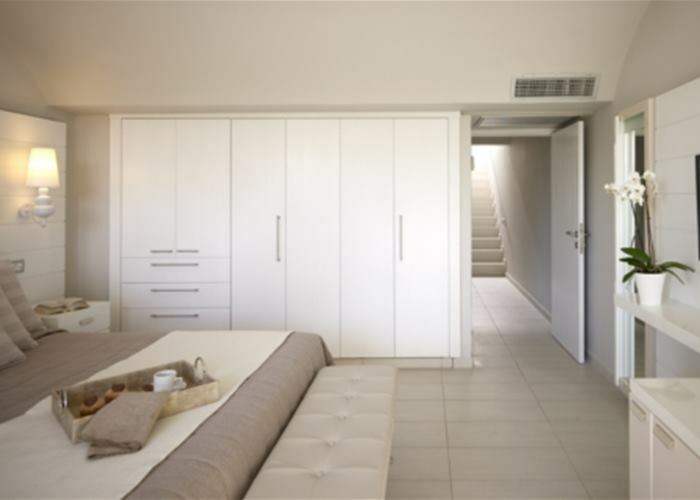 When it comes to the rooms, each of them carry a stylish feel and come with either a queen bed or two singles. Located within the main building and the hotels annex buildings these rooms sleep up to 3 and come complete with mini fridge, LCD TV and air conditioning operating from 15th May to 15th October. When it comes to the rooms, each of them carry a stylish feel and come with either a queen bed or two singles. 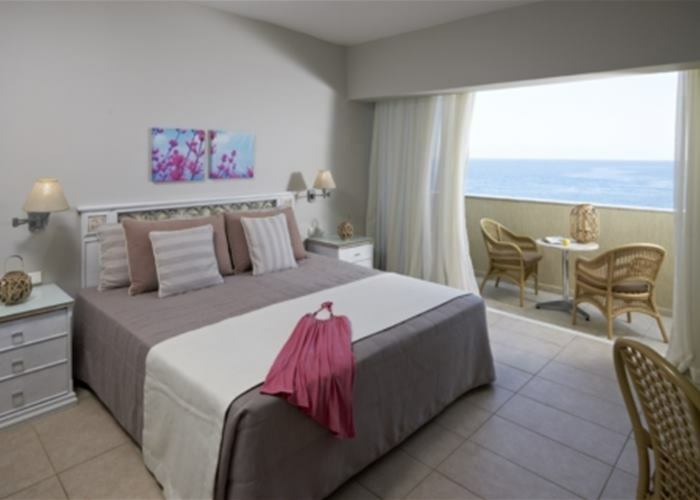 Located within the main building these sea view rooms sleep up to 3 and come complete with mini fridge, LCD TV and air conditioning operating from 15th May to 15th October. Family rooms combine stylish decor with practical space for all, sleep up to 4 people and are located within the main building and annex buildings. Comfortably sleeping 2 adults and 2 children or 3 adults and 1 child these rooms come complete with mini fridge, LCD TV and air conditioning operating from 15th May to 15th October. Family rooms combine stylish decor with practical space for all, sleep up to 4 people and are located within the main building. This sea view room comfortably sleeps 2 adults and 2 children or 3 adults and 1 child these rooms come complete with mini fridge, LCD TV and air conditioning operating from 15th May to 15th October. These suites are spaciously designed to offer privacy for the whole family. Split across 2 levels within the main building and a single level in the annex buildings the suites are made up of a bedroom, shower room, bathroom and a living area, which comfortably doubles up to offer additional sleeping space. These suites sleep up to 5 and come complete with mini fridge, LCD TV and air conditioning operating from 15th May to 15th October. Located in the main building or in the annex buildings.